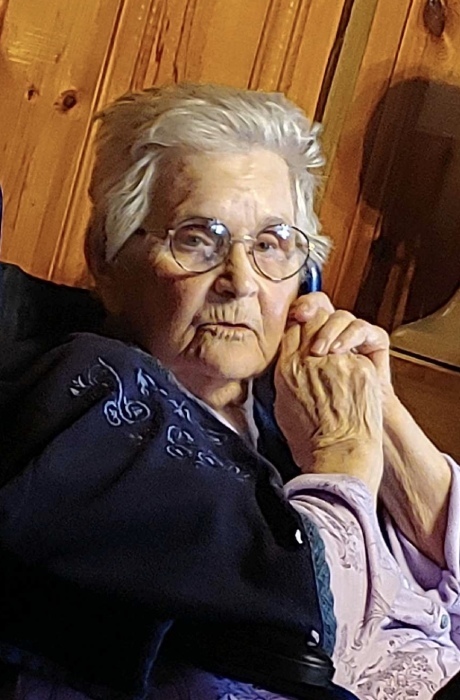 Our beloved Priscilla died at home on Tuesday, March 26, 2019. Priscilla was born on October 9, 1928 in Pecos, New Mexico to Celestino and Cleofas Ortiz who preceded her in death. She is also preceded in death by her beloved husband Antonio Lopez, Mother-in-law Irene Olguin, brother Juan L. Ortiz, sister Silveria Martinez, brothers-in-law Eugenio Martinez, Ralph Olguin, Adolfo, Olguin, Lucio Olguin, Agustine Olguin, Freddy Lopez, sisters-in-law Clora Ortiz and Maria Ortiz. She is survived by her children, Tony Lopez, Aurelio Lopez, Jacobo Lopez (Veronica), Martin Lopez (Joaquina), Suzette Archuleta (Alonzo), Walter Lopez, Elizabeth Chavez (Peter) and Matthew Lopez. Grandchildren Ralph Lopez, Janis Lopez, Jaclyn Lopez, Kris Lopez, Tommy Lopez, Jennifer Cross, Paul Chavez, Alexandria Chavez, 9 Great grandchildren and 1 great-great grandchild, her loving brother Mariano Ortiz and his family, brothers-in-law Arcy, Roberto, Jose and Placido, sister-in-law Kate (Frank), friend Christine Urban. She is also survived by many nieces, nephews, cousins, friends and neighbors. Public visitation will begin at 6:40 pm on Friday, March 29th with a Rosary to be recited at 7:30 pm at St. Anthony’s Catholic Church in Pecos, New Mexico where she was an active member. Mass of Christian burial will be celebrated at St. Anthony’s on Saturday, March 30th at 11:00 am with internment following the Mass at St. Anthony’s Catholic Cemetery. Serving as pallbearers will be Alexandria, Jennifer, Jaclyn, Milo, Ralph, Kris, Tommy, and Gene, honorary pallbearers will be Janis, Paul, Joshua, Ralph Jr., Jason, Galena, Lucas, and Sophia. To our beloved Mother, grandmother, great-grandmother and great-great grandmother, we thank the Lord for the many wonderful years we all shared with you. We love you and we will miss you dearly!